This Semi-Recessed Wall Mount Cabinet protrudes slightly from the wall leaving a finished look and is specifically designed to hold the Philips HeartStart line of AEDs. A perfect fit, this sturdy metal construction wall cabinet protects and prominently displays your Philips AED. Fixed shelf displays AED at window level, with room underneath. Door-activated alarm and flashing strobe light alert everyone the AED has been deployed for rescue. Alarm can be wired to an external panel. Alarm requires two 9-volt batteries (not included). 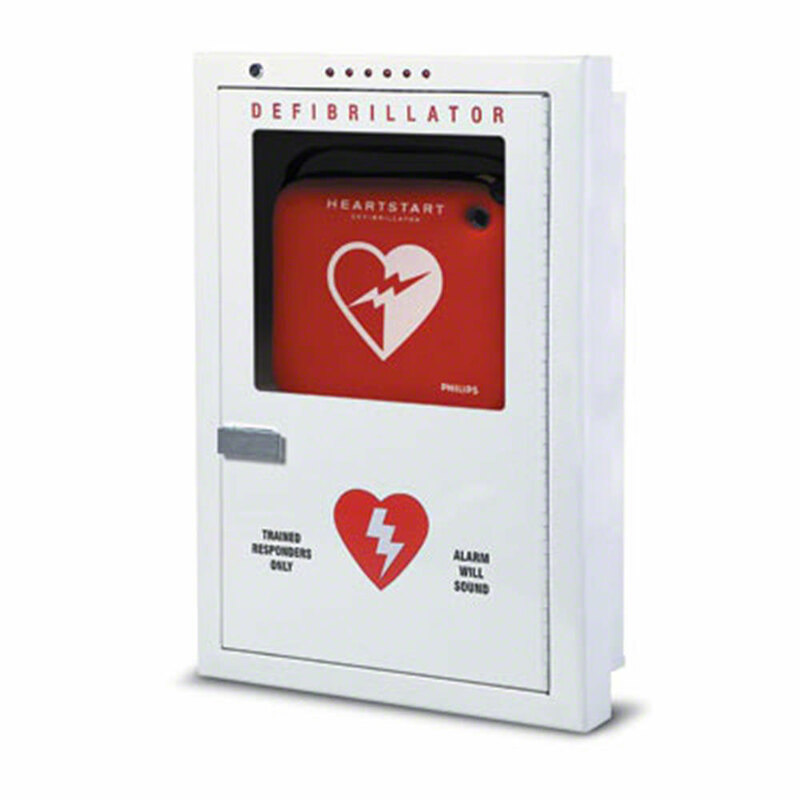 Compatible with: Philips Forerunner AED, Philips OnSite AED, Philips FR2/FR2+ AED, Philips FRx AED, Philips FR3 AED. Inside the cabinet is a white plate which covers the alarm's circuit board. Remove the two screws which hold the cover in place. Remove the cover. On the back of the cover will be a 3 digit number (801, 802, or 803). That is the number which determines your key.